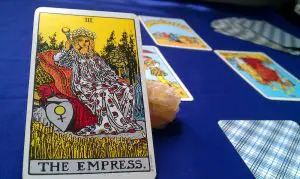 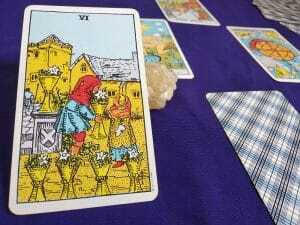 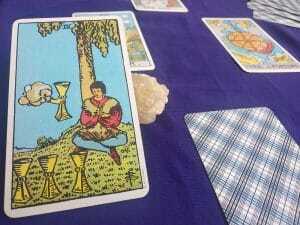 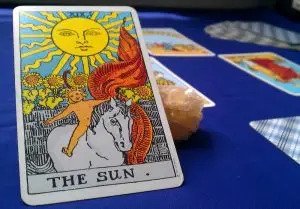 The history of tarot cards is almost as mysterious as the assertiveness of its predictions. 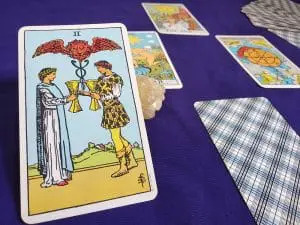 Some point out that it dates from ancient Egypt, others that the original format had four suits and was created by Islamic people, on the Asian continent, reaching Europe through the Mediterranean. 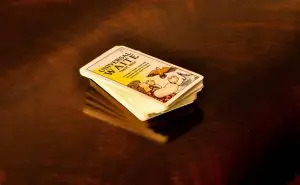 By the fifteenth century, the first decks of cards with a fifth suit are recorded: the trumps, cards that supposedly guard ancestral wisdom appear for the first time. 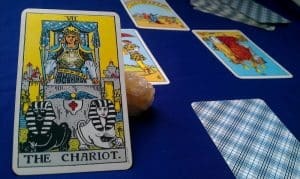 These cards relate the path of spiritual growth that we all must travel to achieve the development of our personality, earthly victory and the spiritual illumination. 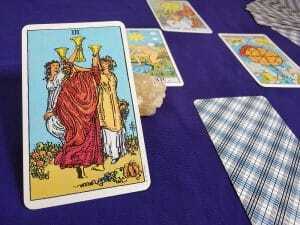 This new set inspired a game known as Tarocchi in Italy, Tarot in France, and Tarock in Germany. 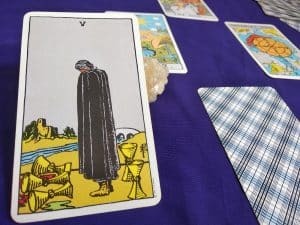 However, the Tarot de Marseille found at the Visconti-Sforza Castle in Milan is considered the first tarot deck since almost all the enigmatic figures that star the Major Arcana appear just as we know them today. 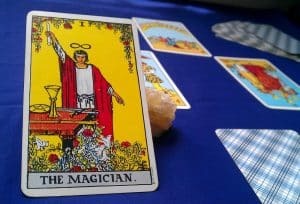 The centuries passed, and its design became more and more sophisticated, its use more and more spread among sects and lodges like Freemasonry. 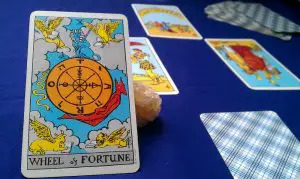 Its connection with divinatory arts and its links with Kabbalah and astrology made its symbolic value increasingly crucial among all those interested in better understanding their past, deciphering the future and organizing their present. 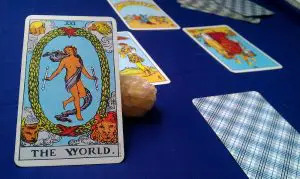 In the twentieth century, two members of the Hermetic Order Golden Dawn develop versions that popularized the use of tarot worldwide. 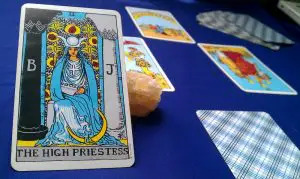 The most well-known, the Rider-Waite Tarot, designed by the occultist Arthur Edward Waite and the illustrator Pamela Colman Smith, was published in 1910, and is the one that most closely resembles the original Tarot of Marseille in its symbolic aspects, although some changes were made to amplify its spiritual message and its connection with astral energy. 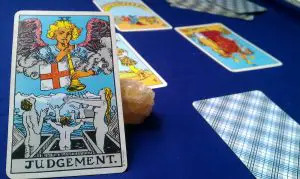 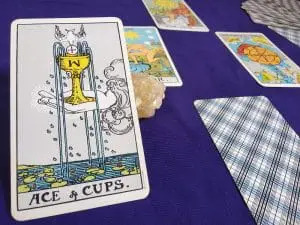 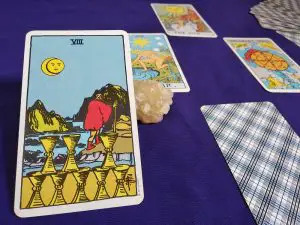 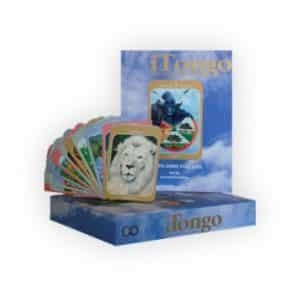 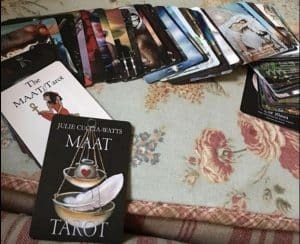 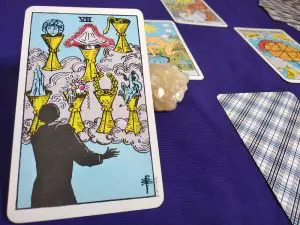 We’ve chosen this deck to accompany you to discover the Tarot card meanings, world of readings and Fortune-telling, analyzing one by one each of the best arcana and minor arcana, your readings, and more hidden aspects will be revealed to you.